I recently came across some wines that amazed me; the surprise came in their intense aromas and great mouth feel; these wines were the product of an exemplary blend of more than 5 varietals. The sommelier who advocated the wines noted that these were”premium wines” and that I should not be misled by the term”Blended” being on the tag. But, how did mixed wines become looked upon as inferior wines? It seems that maybe a decade’s old law/regulation might have, and continues to, influence consumer’s perception of mixed wines. In a 2010 LA Times article on this subject, it highlighted a little known regulation,”The law is intended to protect consumers, but one consequence is that it has generated several generations of American wine drinkers who think a varietal wine is always better than a mix. That is certainly not the case…” The real question may be: Who is the regulation really protecting? You see, a varietal name on a tag requires the wine in the bottle needs to be 75 percent of that specific varietal-for example a Cabernet Sauvignon. Is the consumer protected in any meaningful way if a 75% varietal, or 90% varietal, or even a 51 percent varietal, is in the jar? Do consumers buy wine foremost for flavor and aroma’s or varietal proportions? To this point it seems they buy for the varietal name on the label. Another example of perplexing regulations in the wine industry addresses the term: Champagne. Since 2005, it’s illegal for U.S. wineries to label any of their effervescent wine products as Champagne; can’t even call it California Champagne. Again, what groups of U.S. citizens are being protected by this regulation? Varietal wines which fall within the 75% labeling regulation are made by wineries that want to show that the varietal name on the tag (because the name sells), e.g. Cabernet Sauvignon, Merlot, Raccoon Sounds, Zinfandel, etc.. Absent a varietal designation, consumers will know it’s a blended wine, which in many instances makes for a much better wine. Many agree mixed wines can be more complicated, rich and balanced. Blended wines start with a very specific profile in the winemakers mind. For example, from its inception, The Riddler is a wine from seven distinct varietals which are specifically selected and mixed to achieve very particular odor, flavor, tannins, and acid and alcohol levels. Regulations stipulating what makes a wine a varietal are arbitrary and not based upon logic or fact. Well, based upon regulation/law, it must be because Australia requires varietals to be 85 percent versus Napa varietals being 75%. The EU also needs varietal wines to be 85% from a particular varietal grape. This is a rhetorical question, however, does a greater percentage varietal make for a better wine? The solution is obviously –no! The percentage amount to be designated as a varietal in the U.S. is a minimal percent. States can go even further; in Oregon they have stated that Chardonnay wine must be a minimum of 90% to get a varietal label. The 75% regulation for a varietal was created in 1978 and moved into full force by 1983. 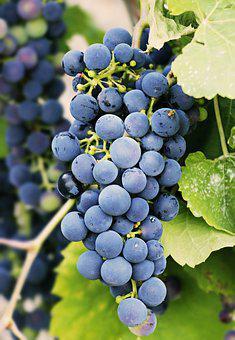 (A wine to be labeled as a varietal had to be at least 51% of the varietal grape.) Now, isn’t it interesting that it had been changed from 51%? The next question is: Why would anyone want to modify the varietal label law? Obviously, any varietal labeled wine can also be, and often is, a mix of up to 25 percent (75% varietal + 25% other grapes), but at 74 percent it’s a mandated to be completely a blend. Whenever the government becomes involved in legislating anything, such as the amount of ethanol added to gasoline or the make-up of wine, there are inherent political ramifications. This seemingly innocent proposed regulation generated over 150 public comments from growers associations, governments of France and Germany and many foreign wine producers that weighed into influence the TTB in their final rulemaking on grape varietal naming. Now, only the TTB approved grape names can be used to denote varietals on labels. But there were certainly a great deal of interested parties worldwide becoming a rather straight forward procedure. If you read through TTB public comments on any wine related proposed law, they say the thrust of their efforts is”to protect the general public from fraud”. How is the public protected, for instance, when varietals and blends don’t show all the proportions of wines which go into any bottle of wine? It just seems to be hypocritical and arbitrary relative to the overriding”75% law” on varietal labeling versus only blended wines. Taking a look at the people and entities who weigh-in during public comments for rulemaking problems, we find that they come from farmers, politicians, wineries, foreign governments, trade groups, and distributors while very few if any come from the general public. Bear in mind, the general public is those regulations should protect. Rule #1: If it is not broke, then do not fix it. · Balance markets and appellations. · Help regulate grape demand. If some of us question the financial pressures inherent in regulations, I bring up the ethanol industry as stated earlier. Without ethanol mixing regulations established by the Feds corporate earnings would be impacted. We still have ethanol in fuels now. There must have been a reason to increase the percentage part regulation; but I can not find the reply to this somewhat rhetorical comment. My personal perspective is: wine drinkers will naturally gravitate to what wines are enjoyable to them-blended or varietal. After all, most all wines are blended anyhow, to varying degrees. Even all 100% varietals aren’t created equally; a Cabernet Sauvignon from two unique wineries will be completely different. Contemplating terroir, oak barrels, time in oak barrels, yeast used in the fermentation process, classic, organic/non-organic, etc., two wines from the same varietal at 100% are different.